Just under 2 hours from Cape Town, on top of the Piekenierskloof Pass, the ‘Gateway to the Cederberg’, Hebron is a working flower farm, restaurant & farmstall with both B&B & self-catering accommodation. The restaurant serves fresh locally-sourced produce, using as much as possible from our farm, making our own bread and keeping our farmstall stocked. Featured in the Greenwood Guide’s ‘Side Dishes’ of the West Coast, guesthouse breakfasts include freshly-pressed juices, homemade sausages, farm eggs and lovely Rooibos tea. 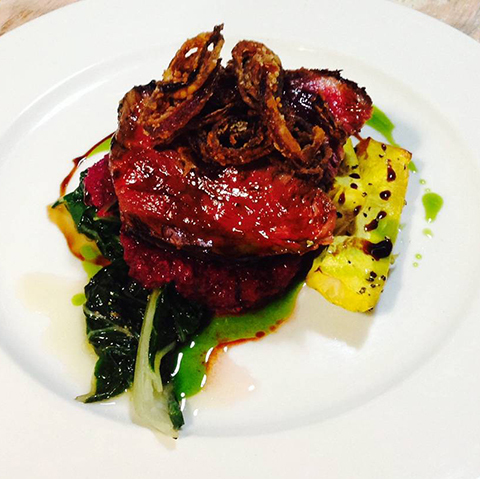 Many years in London restaurants and travels to far-flung places inform Steve’s inspired cooking… look out for ‘Global Wednesday’ dinners and gourmet pizzas from our beautiful wood-fired oven (Friday nights). 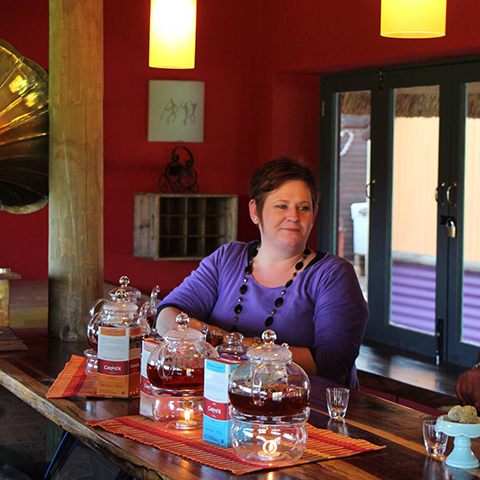 We are delighted to have recently opened our West Coast Wine and Rooibos Tea Tasting Room. 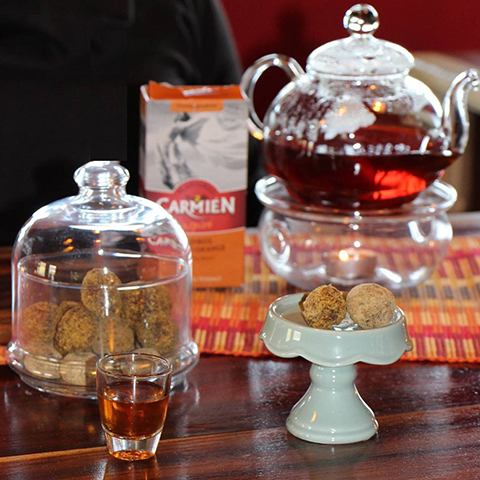 Working with neighbouring Carmién Tea’s fantastic range of rooibos and herbal tea blends, special tea pots, silverware and crockery, our tutored tastings aim to ceremoniously celebrate Rooibos tea as uniquely local, produced only within the Cederberg region. On offer will be a range of tea and wine tastings, including food/tea/chocolate/wine pairing menu alternatives. Rooibos-inspired picnic boxes and a 5-course “tea experience” menu will be available with advance booking. You will also have the unique opportunity to blend your own teas from a range of fermented and unfermented teas, flavourings and botanicals. Our ‘Rainbow Room’ tea garden, in the shade of 3 large macadamia trees, is perfect for summertime al fresco dining. We are also currently constructing ‘Noah’s Park’ (a children’s playground, featuring a tree-house, ark climbing frame, 2x2 animals from recycled goods, trampoline, swings and giant blackboard) to give parents that essential ‘time out’ to enjoy a much needed cuppa or meal!